Guaranteeing our guests a total relax and meditating experience while enjoying the nature, the outstanding view and the village lifestyle. Helping the local youth to be involved in the tourism sector and promoting the village to be known as a unique and unforgettable tourist destination. 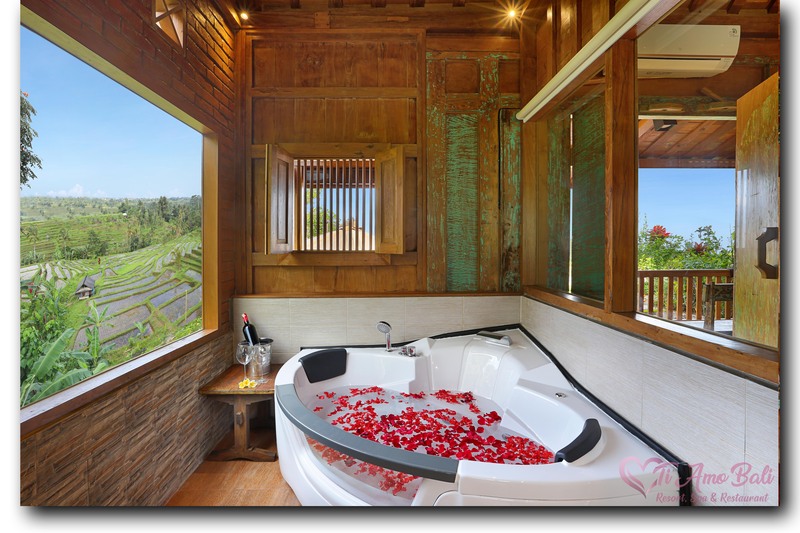 Ti Amo Bali’ or ‘I love you Bali’, is a small resort which provides the international hotel services. 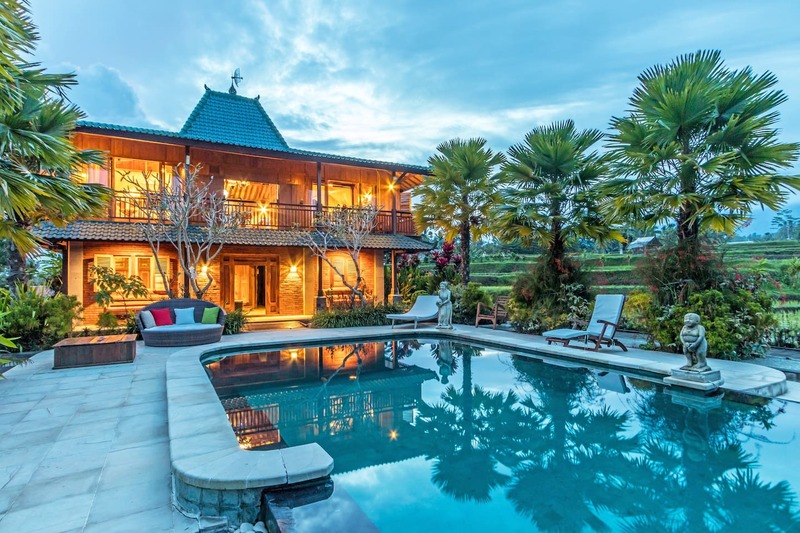 It is located in Mengesta –Penebel/ Tabanan, only about 5 km from the jatiluwih rice terraces an heritage protected by UNESCO. 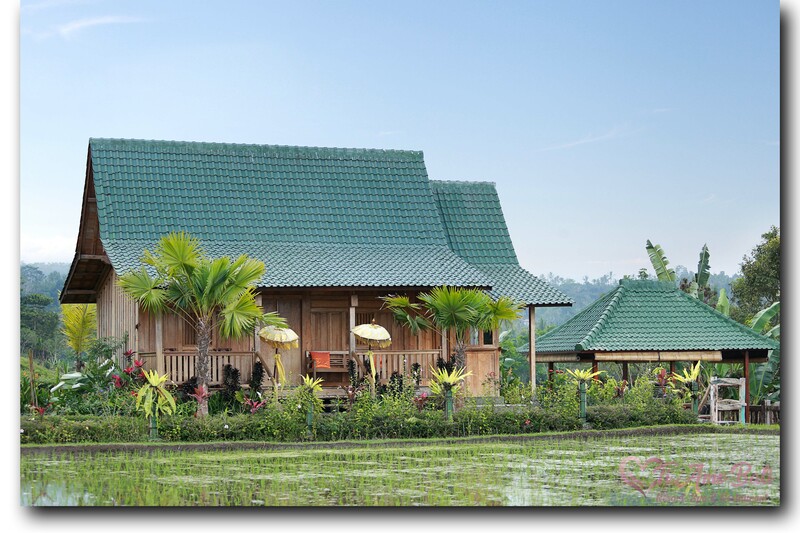 A very cozy place under the Mount Batukaru surrounded by open rice fields. 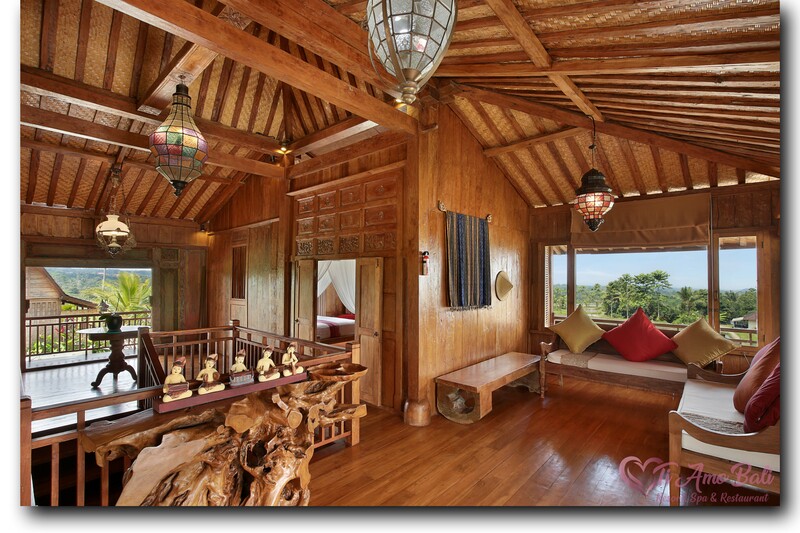 All the particular bungalows at Ti amo bali are build exclusively by old teak wood. 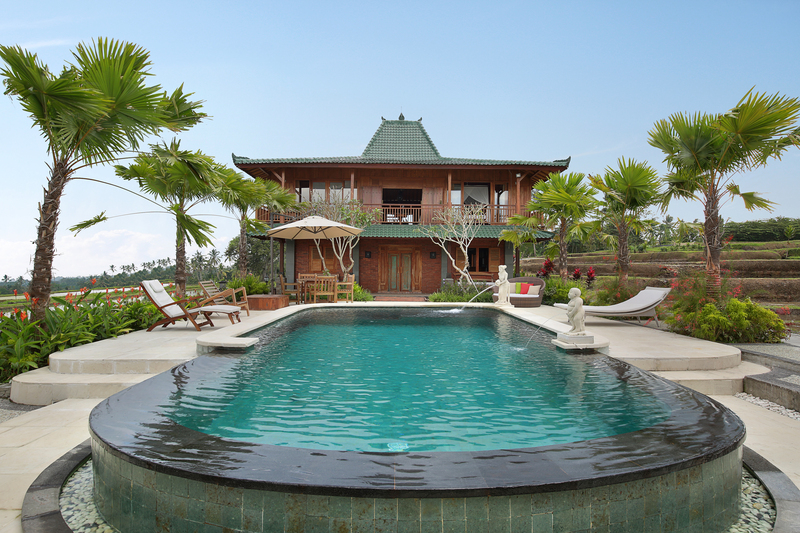 There are three bungalows styles: Joglo , Gladak and Lumbung. In addition, an outdoor swimming pool is situated right in the middle of our resort. Sun-beds and pool towels are provided for the guest. Security and hygiene are guaranteed. We provide also a restaurant with both Indonesian & international food. There are also gazebos which are provided to for small and private meetings. 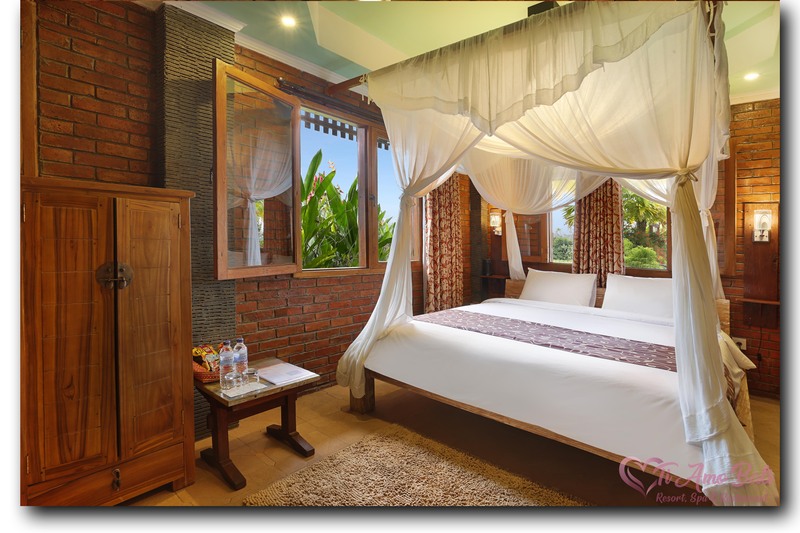 Being on the ground floor makes this room very easy to reach, designed purposely for the family because it is equipped with a living room which includes a sofa bed. This room has a direct access to the swimming pool. 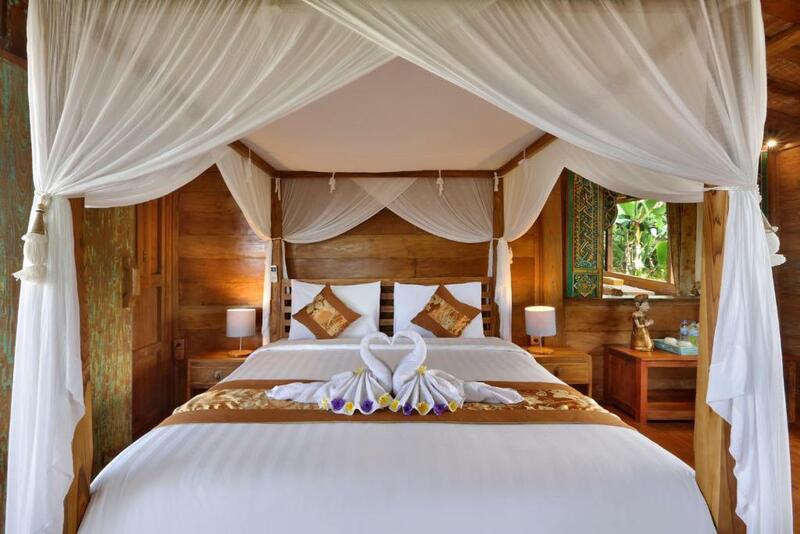 A fairly large private wooden-bungalow, equipped with a bathroom and an additional bath-tub. 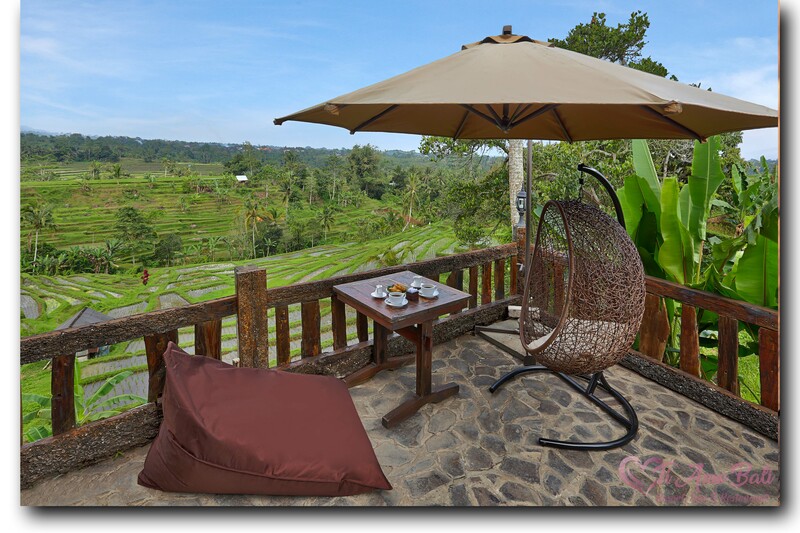 There is also a terrace completed with seating sofa facing the beautiful rice field views. 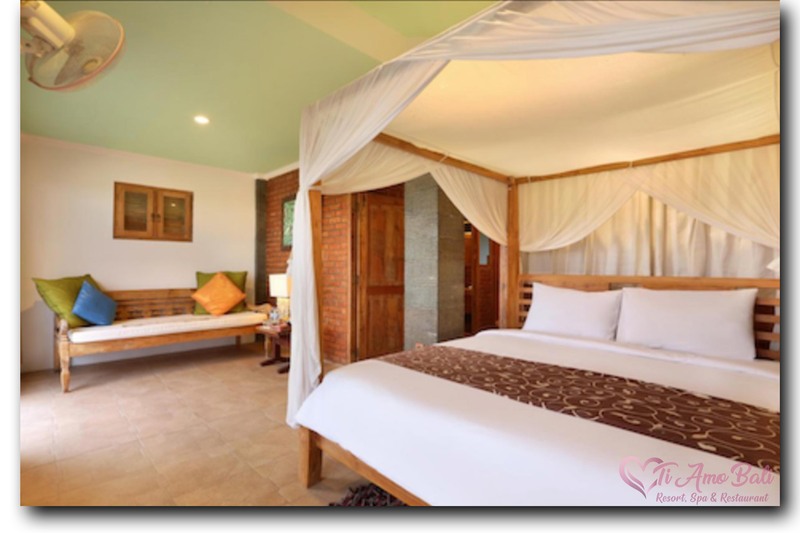 A minimalist room with beautiful outdoor views, a sofa to relax, equipped with a private bathroom and shower. The swimming pool is only a few steps away from the room.